Chesterfield has narrowly missed out in a bid to bring a new train factory to the town that would have created thousands of jobs. Spanish train manufacturer Talgo today (Wednesday 14 November) announced it has selected Longannet, in Fife, as the location for its new factory ahead of the former Hartington Colliery site, between Staveley and Barrow Hill. Chesterfield Borough Council had been working for months with a range of public and business sector partners to bring the factory to the area, which would have created 1,000 jobs directly, with another 4,000 in the supply chain. Councillor Tricia Gilby, leader of Chesterfield Borough Council, said: “While we are hugely disappointed that the bid hasn’t been successful Talgo was really impressed with Chesterfield and the bid that was put together. “Because of this they have said that they are keen to work with the area to potentially bring an innovation centre to Barrow Hill, recognising the strengths we have in terms of skills, education, research and technology. 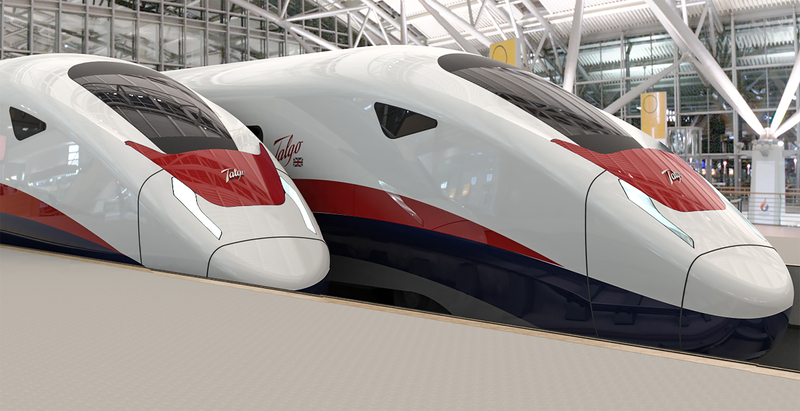 “I’m also hopeful that the highly skilled businesses in the local area that already supply and support the rail sector can win contracts with Talgo as it enters the UK market. Chesterfield beat off competition from around 30 sites to get to the last two of the Talgo shortlisting process. Councillor Gilby added: “We’ve worked with 14 partners, including the landowners, universities and companies working in the rail sector, to bring all the area’s expertise and experience to the table when preparing this bid and that is a real strength that we can offer other potential investors. “The site is already being remediated so it will be ready for other development opportunities. Although we have been unsuccessful on this bid we hope that other manufacturers will see the potential of the site and other opportunities to create jobs in the area will come from it. The Talgo decision will not impact on Chesterfield Borough Council’s existing plans to redevelop the former Staveley Works site area, working with landowners and Derbyshire County Council. Sir John Peace, chairman of Midlands Engine and Midlands Connect said: "I am disappointed with the decision but will continue to support Chesterfield with its ambitious plans to regenerate the area around Staveley. "The Midlands remains a leader in transport innovation in general and the next generation of rail development in particular, and the arrival of HS2 will be a catalyst for growth both for Chesterfield and the Midlands as a whole."